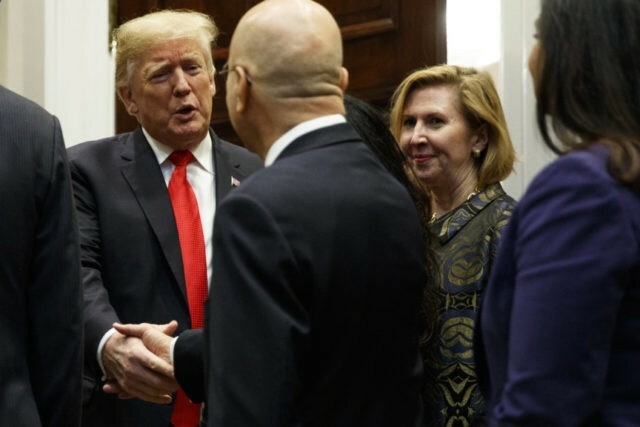 The White House confirmed Wednesday that Deputy National Security Adviser Mira Ricardel will leave her position for another job in President Donald Trump’s administration. White House Press Secretary Sarah Sanders confirmed the news in a statement to reporters. Ricardel was the center of an insider controversy after first lady Melania Trump’s office publicly said she no longer should work at the White House. “It is the position of the Office of the First Lady that she no longer deserves the honor of serving in this White House,” Stephanie Grisham, the communications director for the first lady, told reporters on Tuesday. Several reports noted that Ricardel clashed with the first lady’s staff on her recent Africa trip. National Security Advisor John Bolton hired Ricardel in March to be his deputy, but she made several enemies during her tenure at the White House. Ricardel previously worked for former Sen. Bob Dole and former President George W. Bush.